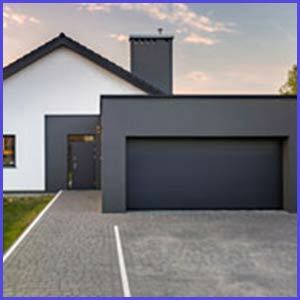 At Neighborhood Garage Door Service, we understand the unique garage door servicing needs of our Bellmore, NY commercial clients. Doors are often much larger, weigh more, and tend to have different shapes and sizes than residential garage doors. When we arrive at your business location, we take the time to assess the problem with the garage door and provide you with several possible solutions. We understand that having to deal with a broken garage door takes you away from your business and your own customers. Some companies around Bellmore, NY that appear modern in every other way forget to update the look of their garage doors. If you can relate, we would be happy to show you our line of fresh, updated commercial garage doors that also provide superior protection and safety. When you can show customers that you care about all of the details, including their safety and comfort in your company’s garage, they are more likely to form a favorable opinion of your organization and pass that along to others. You have little to worry about when you purchase a new garage door from Neighborhood Garage Door Service. We have high standards for our manufacturers because we care deeply about the safety and satisfaction of our customers. Since all products come with a warranty, there is little risk in buying the door you really want. Our company also stocks numerous gadgets and add-ons to go with your garage door. While safety is always most important, we also want you to have a product that you’re proud to let others see. Our garage doors won’t rust, mold, or shed their paint due to problems with moisture. You have a variety of color, style, and design choices that allow you to select the very best product for your home or business. We are always happy to help you review your choices.